¿Qué es exactamente el guisadismo? ¿Un movimiento? ¿Un credo? ¿Una religión naciente (de rencor?) ¿Una teoría? ¿Un état ’âme? ¿Una especie de mestizaje? ¿Tiene de alguna manera algo que ver con el internet? ¿O todo lo anterior? ¿Cómo funciona? ¿Se puede entrar? ¿Dónde firmo? ¿O tal vez ya he firmado? Y la pregunta ahora es ¿cómo no me inscribo, ¿cómo me alejo del guisadismo? ¿Es posible? ¿O estoy realmente e indisolublemente dentro del guiso? ¿Un mero componente del guisadismo? Lulu se enorgullece en presentar Stewism, la primer exposición individual en Mexico y America Latina del artista danés Simon Dybbroe Møller. La exhibición esta compuesta por una selección de fotografías culinarias recientes y un video titulado The Drift (2010). Inmersas en la tradición del memento mori y la naturaleza muerta, las fotografías presentan platillos de diversos guisos (Labskaus, Boef Stroganoff, Gulasch, Ragout) que consisten en partes de la vaca con correspondencias al cuerpo humano, como caderas, espinilla, vientre y hombros. Los retratos, realizados por fotógrafos profesionales, muestran cada platillo con franqueza y una incomoda precisión gráfica; el detallado exceso de información visual los hace mas repulsivos que apetitosos, sin embargo no dejan de ser fascinantes. Igualmente The Drif aborda una gran cantidad de información. El video consiste en imágenes manipuladas digitalmente de la famosa gruta realizada por el manierista italiano Bernardo Buonatalenti en los jardines Boboli en Florencia, la cual representa el diluvio en la Metamorfosis de Ovidio. Las imágenes se empalman con una voz en off que anuncia todo lo que estuvo a la venta bajo la categoría “General” de Craigslist en Berlin y Nueva York el día 22 de Septiembre del 2010. Dybbroe Møller se interesa en como tradicionalmente los desastres naturales suspenden todo sentido de jerarquía en la literatura clásica, algo que Craigslist hace todos los días ofreciendo una surtido aleatorio de objetos (se recordará que algunos de los primeros ejemplos de lengua escrita son listas, o mas bien inventarios, de los bienes comerciales y vendibles, que acompañaban a los barcos de transporte). Como tal, la peculiar conjunción que hace Dybbroe Møller nos conduce naturalmente, al menos para los estándares literarios clásicos, a la suposición de que vivimos en un estado permanente, si no de desastre natural generalizado, si de un diluvio perfecto, que deriva en un guiso totalitario de información indiferenciada. Simon Dybbroe Møller (b.1976 Aarhus, Denmark) vive y trabaja en Berlin. Sus exhibiciones individuales recientes se han realizado en Objectif Exhibitions, Antwerp (2013); Andersen’s Contemporary, Copenhagen (2013); Hyundai Gallery, Seoul (2012); Francesca Minini, Milan (2011); Fondazione Giuliani, Roma (2011); C1 Kunsthalle Göppingen (2011); UMMA projects, Ann Arbor, Michigan (2010); y Frankfurter Kunstverein, Frankfurt / Main (2009); entre otras. Su obra ha sido incluida en exhibiciones colectivas en el Museum of Contemporary Art Detroit (MOCAD) (2013); Zamek Castle, Poznan (2012); Centre Pompidou, Paris (2011); Extra City, Antwerp (2011); Museum Ludwig, Colonia (2010); asi como en bienales, incluyendo The 6th. Nordic Biennial for Contemporary Art, Moss, Noruega (2011); y la Triennial de Turin, Italia (2008). Lulu quiere agradecer Kamm Galerie, Berlín por su colaboración, y dar unagradecimiento especial a Proyectos Monclova, Ciudad de México por toda su ayuday su apoyo crucial en esta exposición. Just what is stewism? A movement? A credo? A nascent religion (of rancor?) A theory? An état d’âme? Some kind of creolization? Does it somehow have something to do with the internet? Or all of the above? How does it work? Can one join? Where do I sign up? Or maybe I already have signed up ? And the question now is how do I not join, how do I distance myself from stewism? Is it even possible? Or am I effectively and inextricably in the stew? A mere component of stewism? Stewism is the title of Simon Dybbroe Møller first solo exhibition in Latin America, which Lulu is very proud to present. 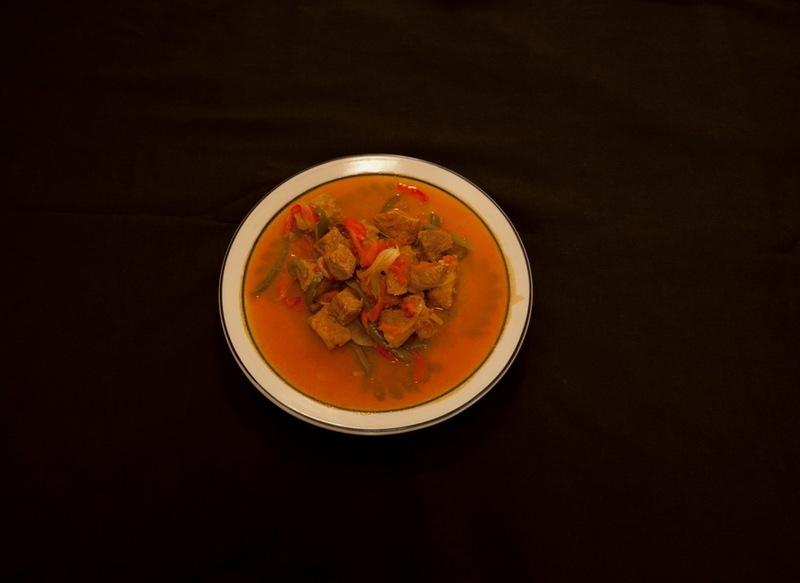 The exhibition features a selection of recent culinary photographs and a video entitled The Drift (2010). 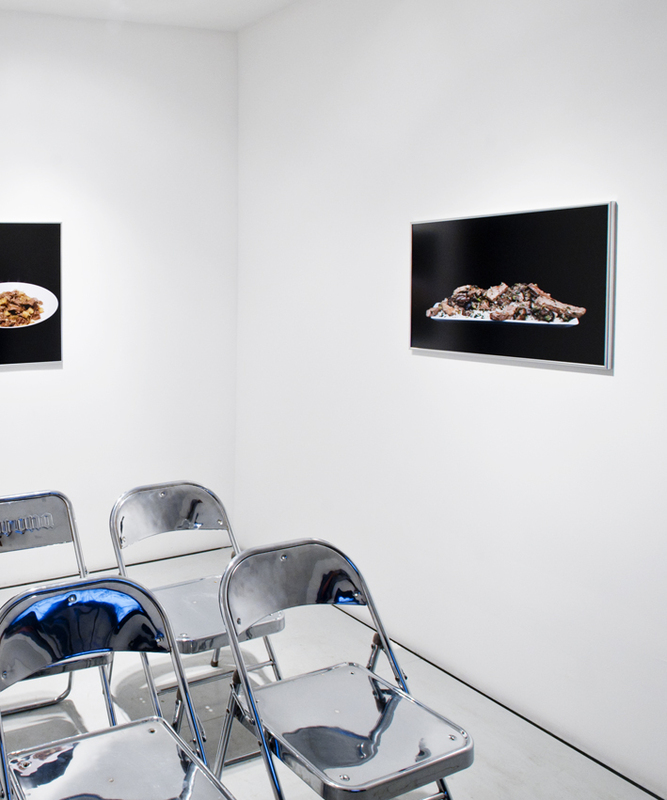 Following in the tradition of the still life and the memento mori, the photographs depict stew-like dishes– Labskaus, Boef Stroganoff, Gulasch, Ragout– which consist of parts of the cow that correspond to human bodies, such as rump, shin, belly and shoulder. Shot by professional exhibition photographers, the dishes are bluntly portrayed with a troubling graphic precision; the surfeit of optical information with which they teem renders them more repulsive than appetizing, if nevertheless fascinating. The Drift likewise deals with a torrent of information. The video consists of digitally manipulated imagery of the Italian mannerist Bernardo Buontalenti’s famous grotto in the Boboli Gardens in Florence, which depicts the flood in Ovid’s Metamorphosis. This imagery is paired with a voice over listing off everything for sale in the “General” category onCraigslist in Berlin and New York on the 22nd of September, 2010. Dybbroe Møller is interested in how natural disasters traditionally suspend any sense of hierarchy in classical literature– something which Craigslist does on a daily basis by offering a random assortment of objects (it will also be remembered that some of the first known examples of written language were lists, or rather inventories of tradable and sellable goods, which accompanied shipping vessels). As such, Dybbroe Møller’s peculiar conjunction naturally leads to, at least by classical literary standards, the supposition that we live in a permanent state of, if not generalized natural disaster, then a perfect deluge, as if adrift in a total stew of undifferentiated information. Simon Dybbroe Møller (b.1976 Aarhus, Denmark) lives and works in Berlin. Recent solo exhibitions have been featured at Objectif Exhibitions, Antwerp (2013); Andersen’s Contemporary, Copenhagen (2013); Hyundai Gallery, Seoul (2012); Francesca Minini, Milan (2011); Fondazione Giuliani, Rome (2011); C1 Kunsthalle Göppingen (2011); UMMA projects, Ann Arbor, Michigan (2010); and Frankfurter Kunstverein, Frankfurt / Main (2009); among others. His work has been included in group exhibitions at Museum of Contemporary Art Detroit (MOCAD) (2013); Zamek Castle, Poznan (2012); Centre Pompidou, Paris (2011); Extra City, Antwerp (2011); Museum Ludwig, Cologne (2010); as well as in biennials, including the 6th Nordic Biennial for Contemporary Art, Moss, Norway (2011); and the Turin Triennial, Italy (2008). Lulu would like to thank Kamm Galerie, Berlin for their collaboration and extend a special thank you to Proyectos Monclova, Mexico City for all their crucial help and support with this exhibition. All images courtesy Lulu Galerie Kamm, Berlin.